mouthpiece assembly, in- and exhale valves, hoses for gas supply and gas removal and scrubber. Both at the inhale and at the exhale side a counter lung is fitted. In the scrubber lid of the closed circuit rebreather there are 3 oxygen cells placed, for measuring the oxygen level after the CO2 has been removed from the gas. The controller regulates the solenoid (looks like an electronic valve) that injects oxygen until the set point is reached. 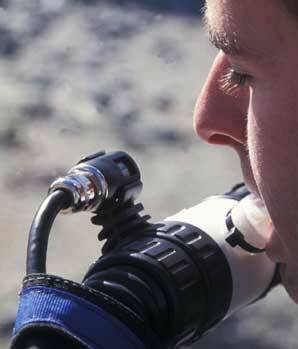 The diver can adjust the gas volume in the loop by manual* diluent injection. 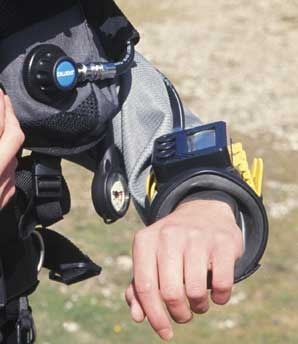 The volume in the loop and the counter lungs decreases as soon as the diver descents by the increasing water pressure. In some rebreathers this process can be regulated by a computer (Cis Lunar MK5) or by adding an ADV (Automatic Diluent addition Valve); on every depth the loop volume will be sufficient and the set point can be maintained by keeping the oxygen level regulated by the controller. 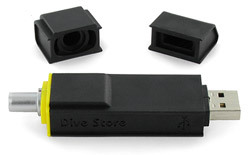 During the dive the mouthpiece cannot be taken out because the loop will be flooded by water and the system will no longer be able to function properly. In case the mouthpiece is dropped by accident, most off the water will be trapped by the water traps near the counter lungs. The picture shows the Inspiration from Ambient Pressure Diving. Other CCR rebreathers may show some differences in operation or parts. That’s why the CCR rebreather diver training is apparatus specific. 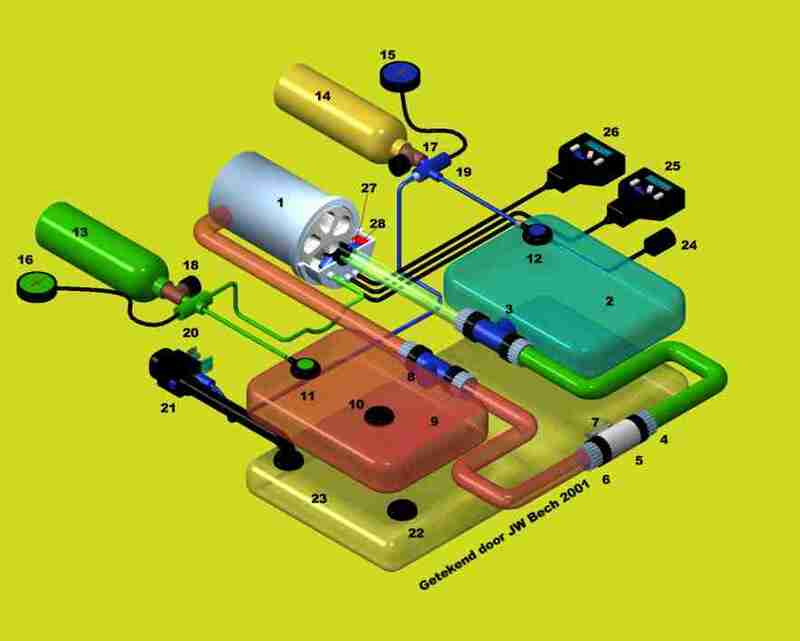 *In the standard model of the Inspiration rebreather this needs to be done manually. Most Inspiration divers install such a device themselves, but an ADV can be fitted by the factory as an option. The ADV is in fact a second stage placed on the inhale counter lung. In case of under pressure in the loop the ADV will supply gas from the diluent cylinder, so the diver can inhale with comfort. It will be clear that most of the time this will happen during the descent because the gas volume decreases when the pressure increases. 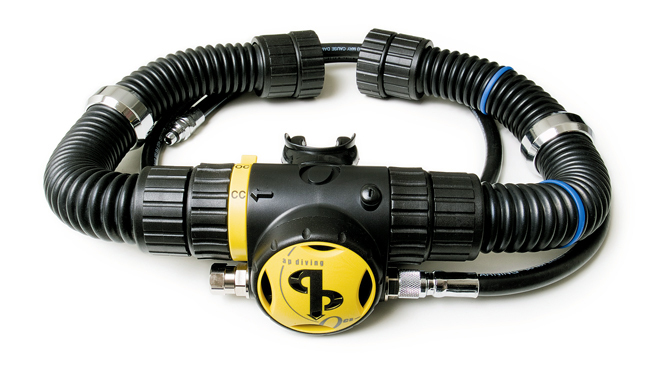 Modern CC rebreathers offer real time decompression. Real time decompression means that the system is equipped with a computer that measures the oxygen content and thus knows the nitrogen content to calculate decompression obligations. Also Trimix version can be uses since the content of the makeup gas (diluent) can be programmed into the computer. Decompression is calculated with several algorithm like Buhlmann, VPM or RGBM for example. Alarms can be programmed and several user options are available. Real time decompression has the big advantage that the rebreather controls the setpoint by measuring the oxygen. It is the best way to calculate decompression with the same oxygen cells. Head up displays (HUD) are more and more popular. Beware that a HUD is an additional device for the diver to have visual control over the rebreather status. It is not a primary source for knowing the pO2! 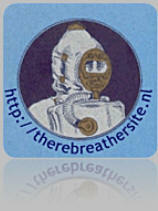 One of the major dangers of the rebreather is the risk of Hyperoxia. Now in 2010 there is not a reliable CO2 detection system that offers the diver early information that high CO2 levels are to be expected. The only reliable system on the market today (may 2010) is the temp-stick technology. In the scrubber there is a sensor with several heat detecting sensors mounted linear in the heart of the scrubber. Software measures the heat development of the chemical reaction and is able to show and predict the remaining scrubbertime. Rebreathers used in the EU should have CE marking and be build conform EN 14143:2003. 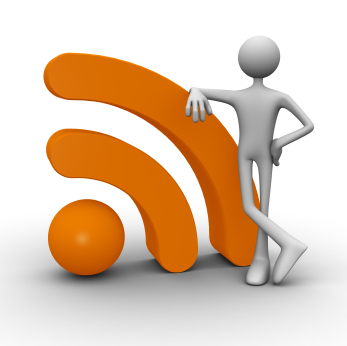 A new version will be released the next few years. CC rebreathers might be equipped with Bail Out Valves (BOV). 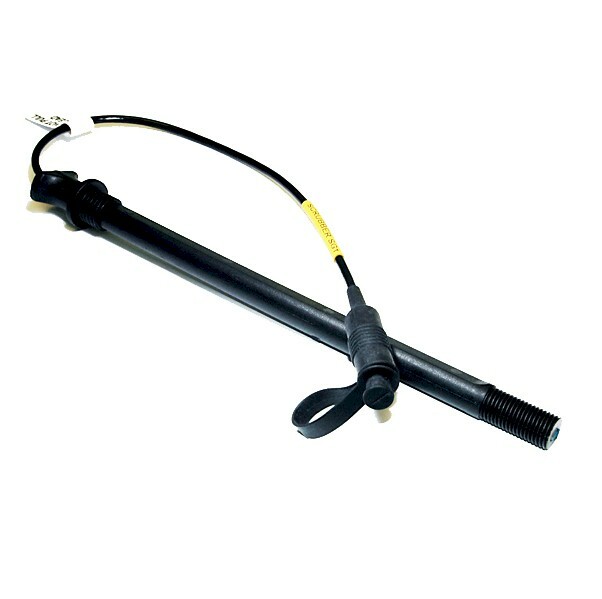 These BOV's offer the diver a fast way to switch to open circuit. The latest generation of CC rebreather also have a "black box". This technology offers the diver a way to log his dives, and the factory to read out data in case of an accident.